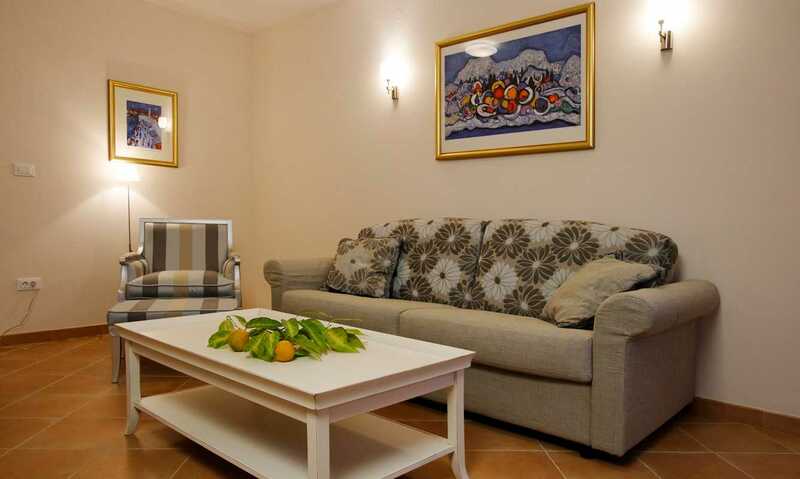 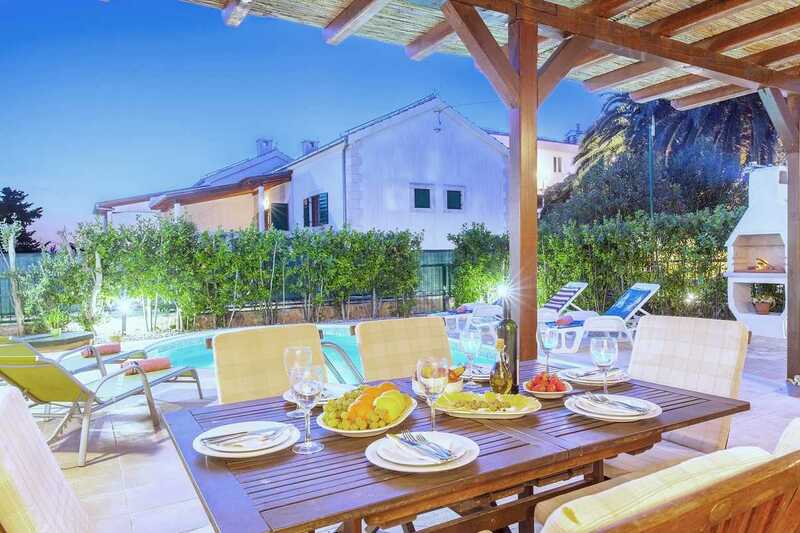 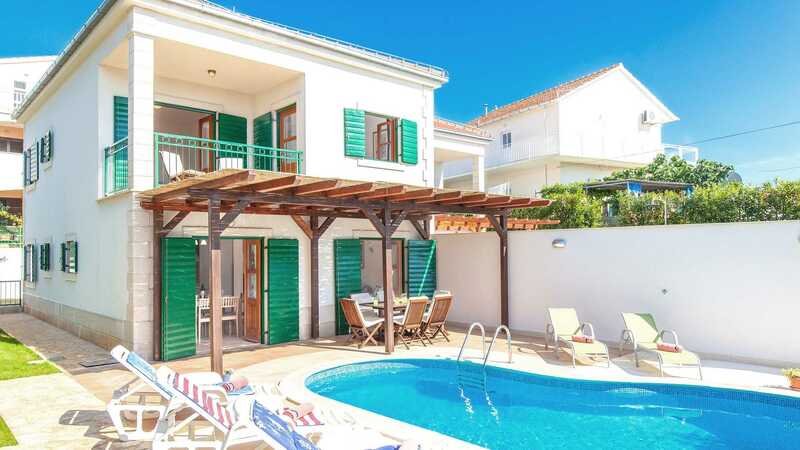 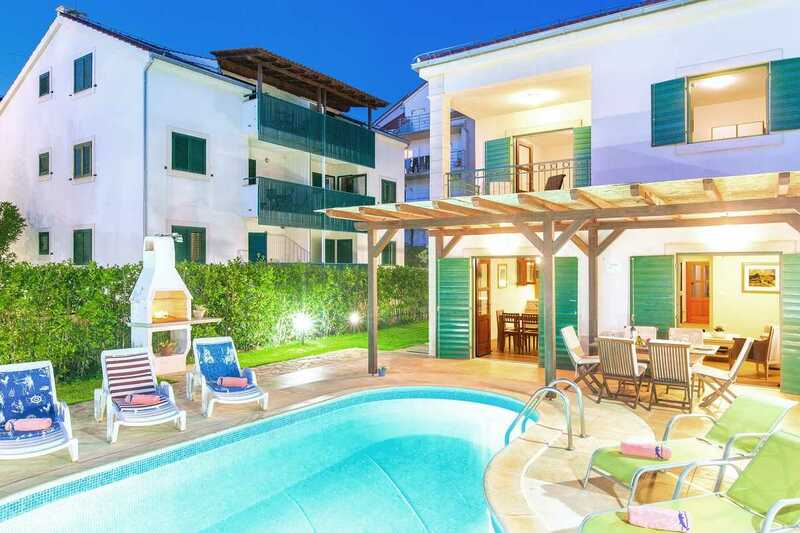 Family Villa Hvar Town with pool near beach, 4 star villa, is located exactly where you need to: in a quiet part of Hvar on the island of the same name so you can completely relax. 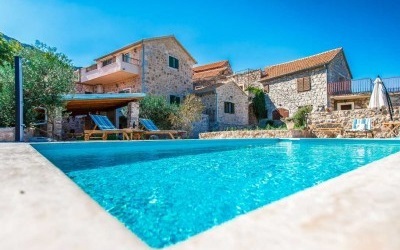 Although the beach is 50 meters away from the villa in Hvar Croatia, you will love the swimming pool that is in front of it: surrounded by bushy green trees and neatly trimmed grass, the stone walk leads to it. 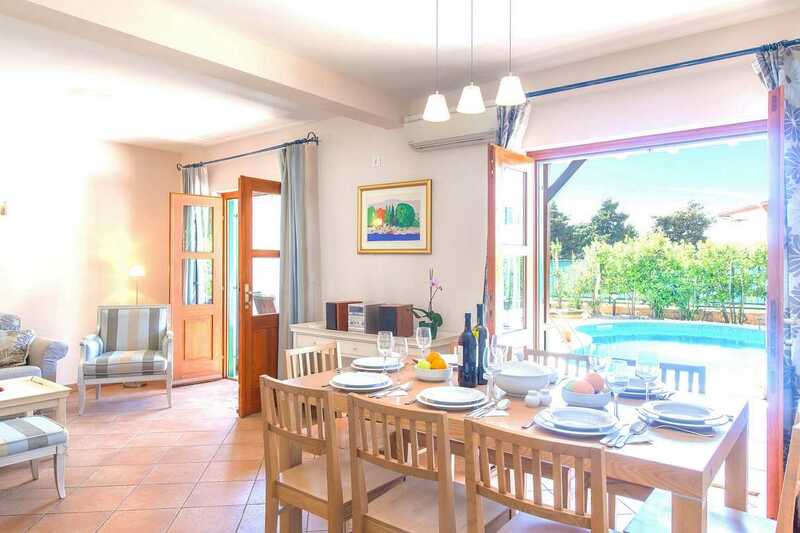 Impression like you’re in a story is given by the wooden chairs and a table on the terrace, which has a direct input into the living room and kitchen / dining area. 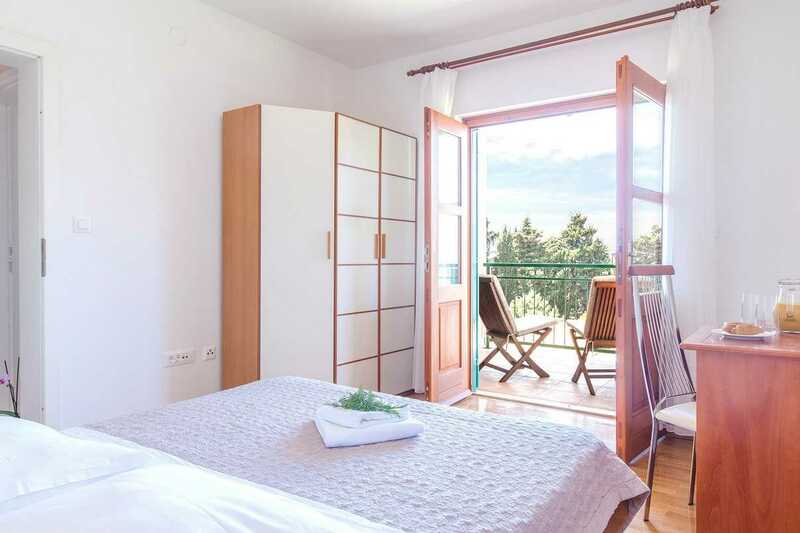 Grey designs of sofas, curtains and kitchen will not make you sad: when tirelessly Hvar sun branches, elegant furniture gets a whole new dimension. 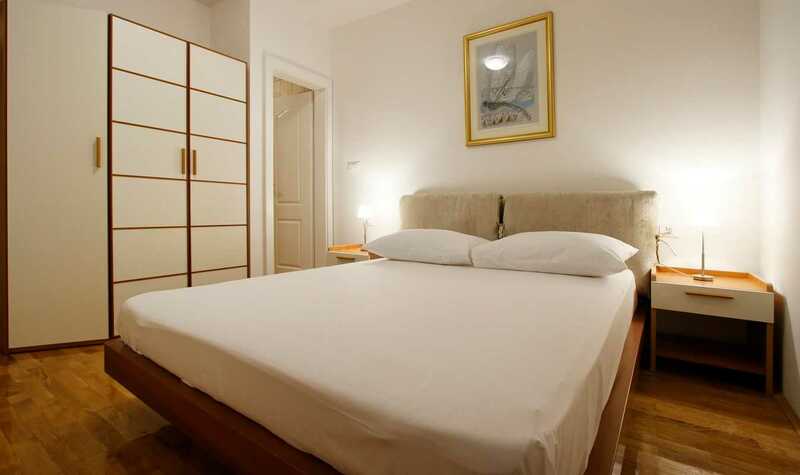 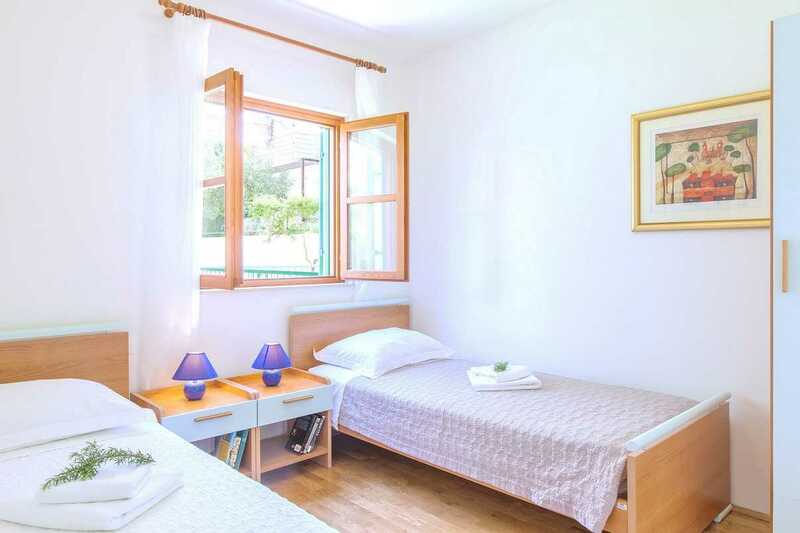 The ground floor has one twin bedroom and bathroom, and upstairs there are rooms with a double bed and an en-suite bathroom, double bedroom and a twin bedroom with a separate bathroom. 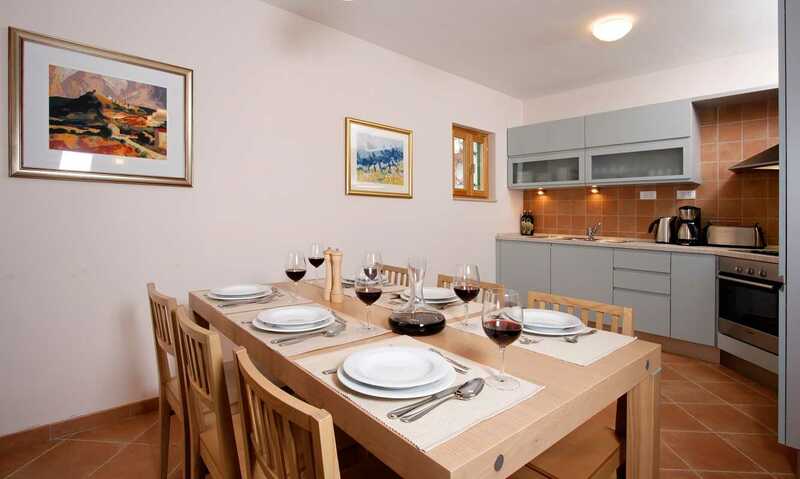 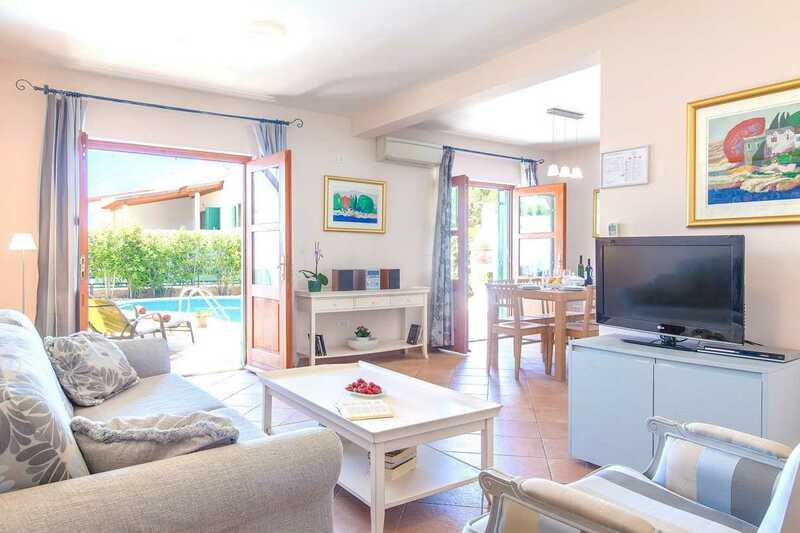 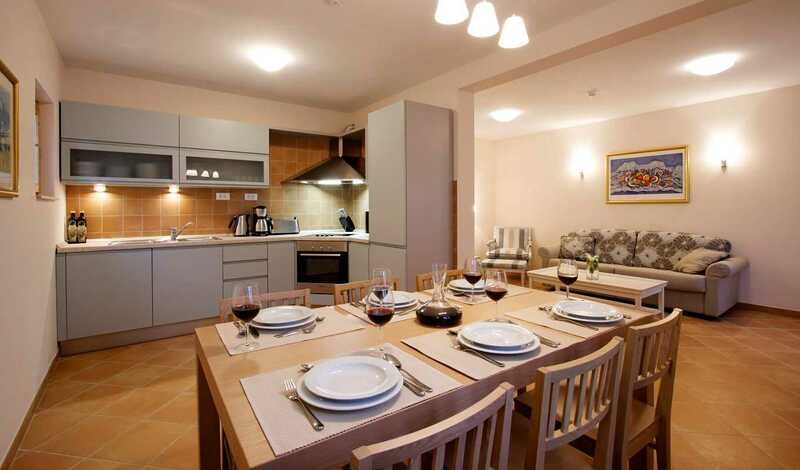 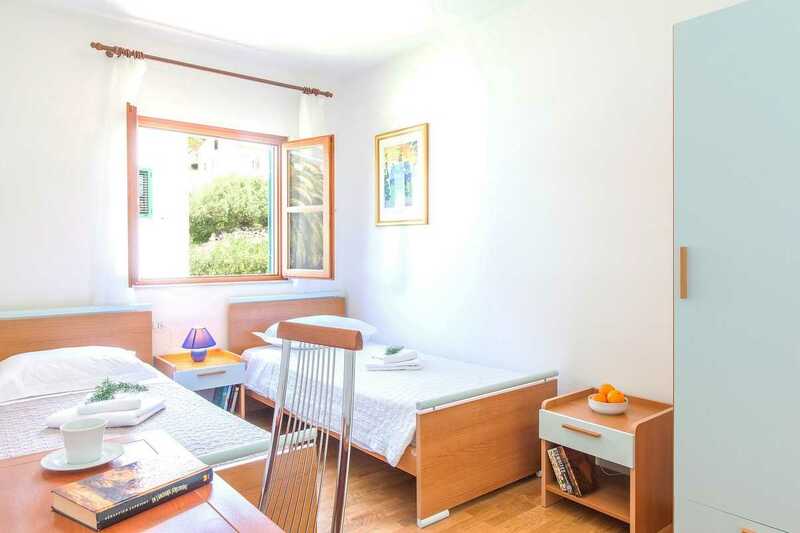 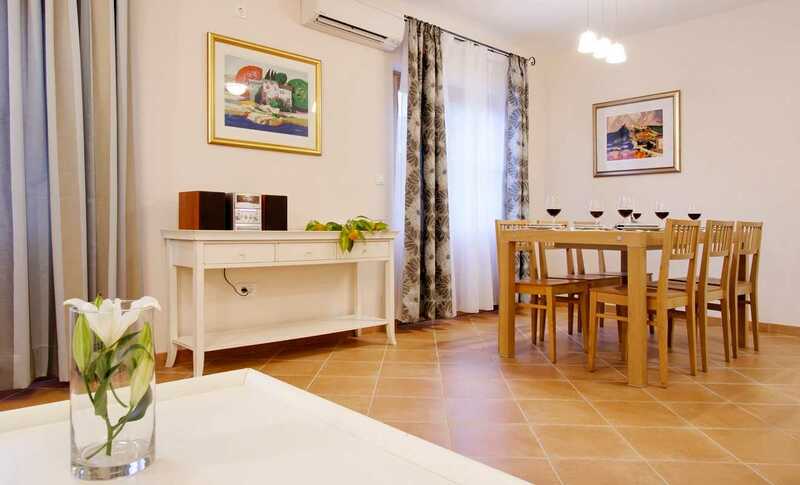 Everything in villa to rent in Croatia is decorated with simple wooden furniture and will make you feel like you’re at home in a family atmosphere. 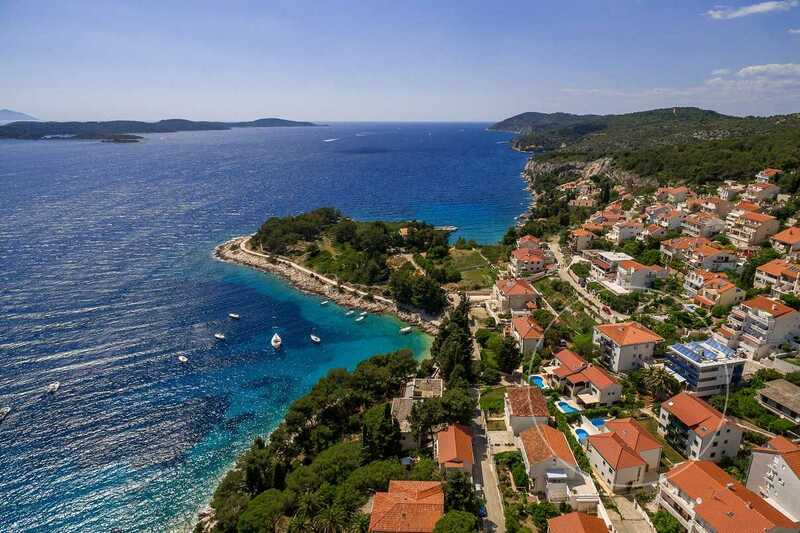 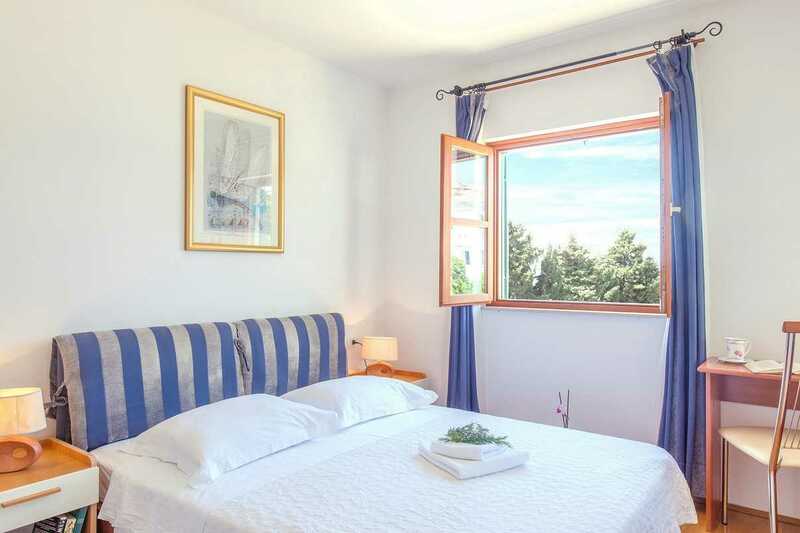 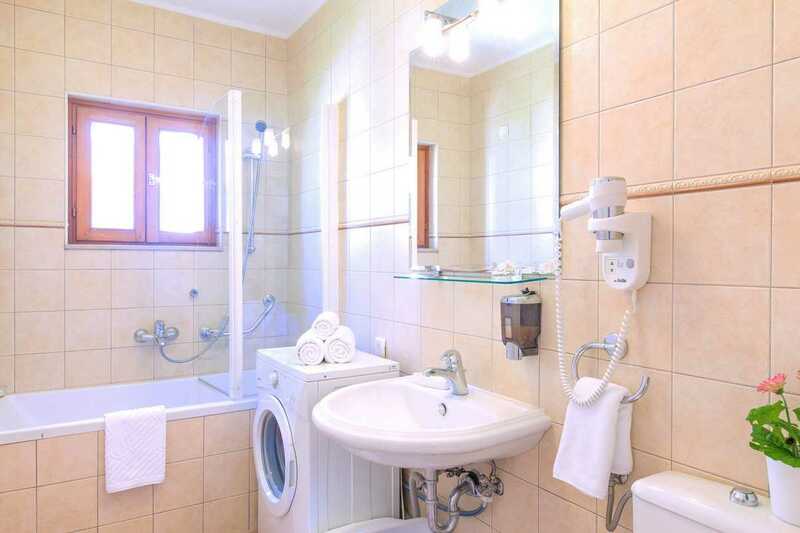 With Hvar as an attractive location and historical attractions, nightclubs and shops, the surrounding bays and islands, you can only wish for such a Hvar Croatia villa beauty for your vacation. 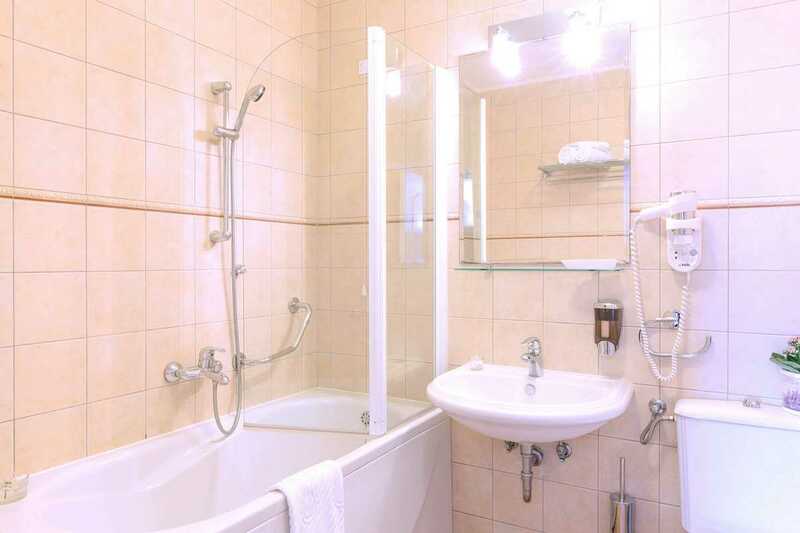 And we give you that desire fulfilled. 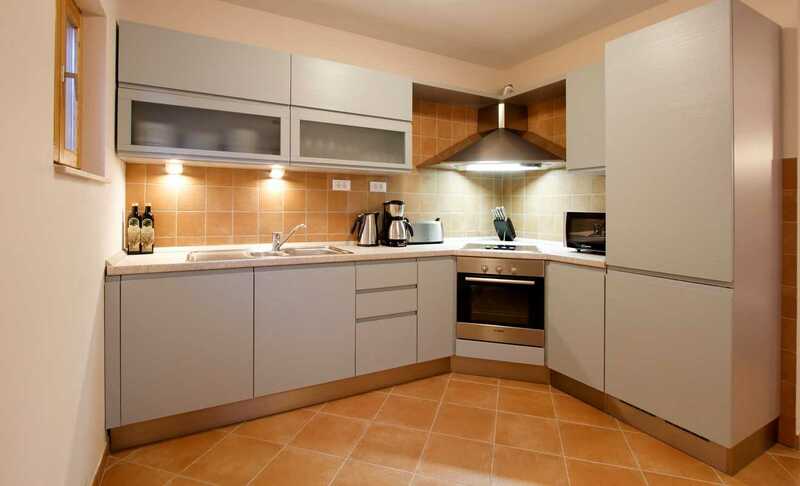 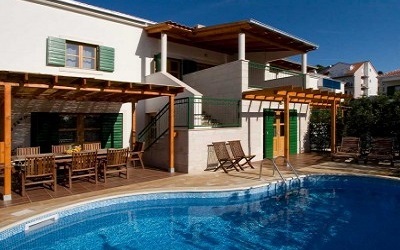 Welcome to Family Villa Hvar Town with pool near beach! 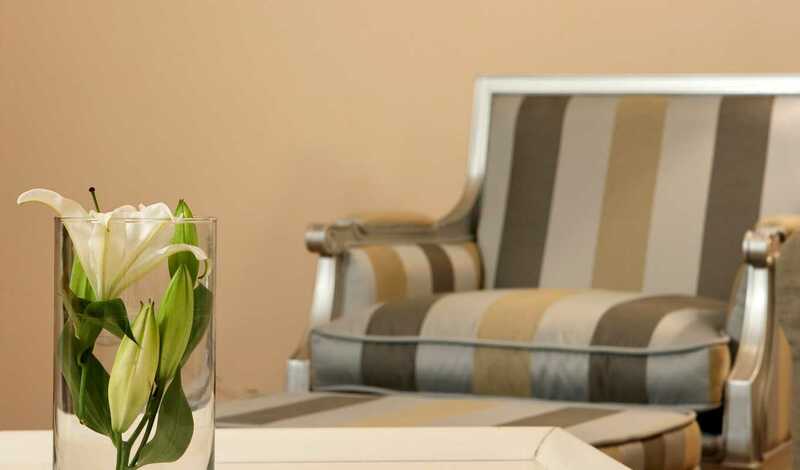 please click “Check in” field to open the villa availability calendar, hover over dates to view rental rates.